Please visit individual studio web site, (OmBase, PulsePDX) for rate information or contact me. I have $5 class passes for Om Base - let me know if you'd like one! I also offer Private classes for individuals or groups - contact me for details. Registration/payment is always required in advance. Full refunds will be given if cancellation is more than 48 hours prior to event. Less than 48 hours, no refund unless your spot can be filled. If class is cancelled, a full refund will be given. Event may be cancelled if there is insufficient enrollment. Also review the policy of the studio that is hosting a given workshop/special event. A gentle style of yoga you can do from a (mostly) seated position that also incorporates the breathing and mind-body benefits of a traditional class. Good for people with physical limitations or mobility issues, or have a confined space to practice in (such as a cubicle or office). All levels. 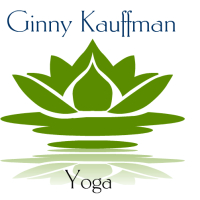 Suited to students that want to stretch, relax and do a more yin type of yoga. The focus is on allowing the muscles to release, as well as encouraging our minds to be still. Very relaxing and calming. It's a fabulous class for couples that want to share yoga time, as well as for students that haven't done yoga in a while. Even though it's a "deep stretch", you decide how deep to move into each pose. All levels. For adults and seniors who want to enjoy the ancient, healing practice of yoga in a supportive, balanced, gentle, safe way. The class focuses on meditation, breath work and basic poses as a way to tap into one’s inner guidance. Poses are modified with the use of blocks, chairs and straps so that those who may not be as flexible will be able to enjoy the benefits of yoga. Students will learn to work with and listen to the body and thus develop a balanced practice, internal strength and wisdom. No previous yoga experience is necessary and all levels are welcome. Each class is a creative blend of traditional Hatha Yoga postures occasionally combined with some movement linked with the breath. A strong emphasis on focused breathing is always included, and classes will vary each week in order to meet the needs of the students in attendance. Dialogue between students and teacher is encouraged for clarification and to potentially spend a bit more time on a topic, pose or body part. All levels. The combination of total body Pilates exercises with the attitude of choreographed dance and the energy of music, results in an intense workout that is FUN and effective. You'll be challenged to flow from one exercise to the next, developing a rock solid core, while leaving NO muscle untouched. Every exercise can be modified to fit YOUR personal needs. You’ll leave feeling sweaty, strong and ready to take on MORE. All levels. This practice brings nourishment and deep contentment to body, mind and spirit. Resting quietly and being fully supported, the rambling mind calms and the ever-moving body rests quietly in the present moment so we may see clearly the peace that resides within. We start with some gentle movement and stretching to prepare and shed the body of restlessness before settling in to still, restorative poses, held for several minutes. Essential oils are used to enhance your experience and welcome a state of bliss. This practice brings healing for body & mind, eliminates fatigue and stress, helps recover from illness/injury, helps alleviate depression and anxiety, and activates the parasympathetic nervous system. All levels. An active practice with an element of fitness and strength training techniques. Combines yoga, Pilates and strength conditioning exercises to strengthen key stabilizer muscles and target common areas of weakness or instability. Resistance bands are used to isolate and engage specific muscle groups. A strong focus on core development is included in each class. A great way to build muscle, increase metabolism and balance, and enhance your abilities in your other yoga practices. You will LOVE this class if you're looking for a workout! Savasana never felt so good! Previous yoga experience recommended. There's nothing quite like taking your practice outside, on the water! We use wide boards that feel like a mini-island to get our yoga on while floating on a calm body of water (understanding the occasional ripple might occur ;o). Classes begin with a short on-land demo for the boards and paddles, then we'll take a short paddle to our water "studio" and enjoy an anchored 45-60 minute practice of guided meditation, gentle flow, and poses that allow you to go deep, strengthen and lengthen. Savasana is sweeter than ever as you are buoyed by the water, warmed by the sun and the sounds of nature lullaby you into total relaxation. SUP Yoga allows you to practice and develop better balance, focus, core strength and present moment awareness . This is an empowering practice; it's as close as you'll ever get to walking on water! Don't worry; you won't have to stand on your head or do ANY fancy poses that you wouldn't normally do! All levels of paddling are welcome but it's highly recommended that you have some prior yoga experience. Must be able to swim. Integrates breath and movement, strength and flexibility, healthy alignment and inner awareness. Vinyasa is a practice designed to help students develop pranayama (breath awareness), endurance and a meditative focus. Previous yoga experience recommended. A slower-paced, passive, meditative style where poses are held for up to 5 minutes. 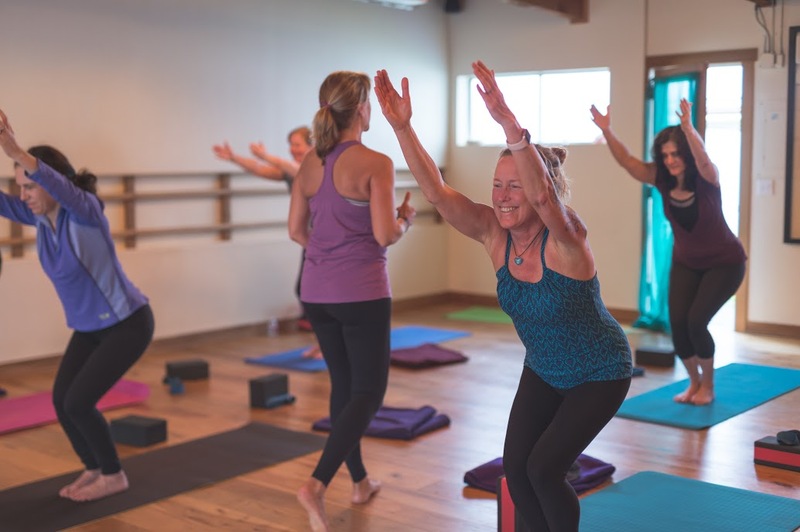 Unlike a more “yang” yoga practice, which addresses the superficial muscles in the body, Yin targets the deep connective tissues and fascia in order to increase circulation in the joints and improve flexibility. It improves flow of energy, organ health, immunity and emotional well-being. Helps to cultivate inner silence. In Yin you relax into the posture, soften the muscle and move closer to the bone. Yin offers a much deeper access to the body. This is meant to be a complementary practice to balance the effects of more active forms of yoga and exercise. Some previous yoga experience helpful but not necessary. If it's your first time at class, please arrive a few minutes early to complete a waiver and so we may chat. Please inform me of any injuries, illnesses or concerns prior to class. Come to class on an empty stomach. Suggest you not eat anything heavy 1 1/2 - 3 hours before practice. Wear comfortable, non-binding clothing and no socks during class. Classes start on-time. If you arrive late, please quietly find a spot.